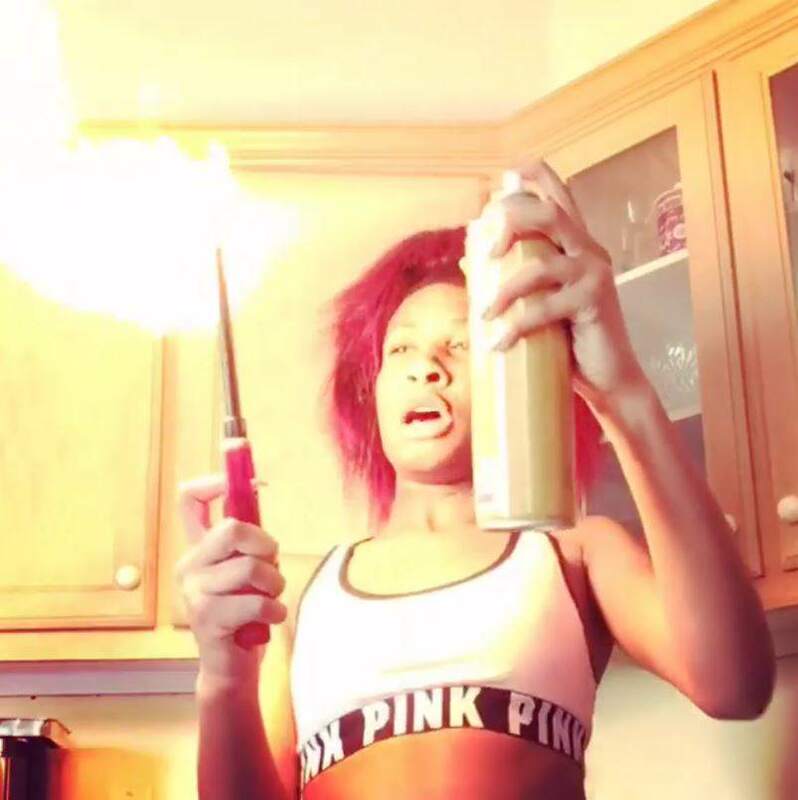 The newest and dumbest craze to hit the internet is the #firespraychallenge, and it shows exactly what happens when people play with fire. The ‘challenge’ is basically creating a homemade flamethrower – and it’s as dangerous as it sounds. By lighting aerosol spray with a lighter, you get a massive, powerful flame. The videos show teens laughing and messing about with the flames, and it’s the dumbest thing ever. The London Fire Brigade has branded the stunt ‘extremely dangerous’. Spokesman Mark Hazelton told ITV that it isn’t funny, and added that ‘it’s really stupid’. It could lead to severe burns and could cause a serious fire, especially as many of the videos appear to show young people starting these fires in their own homes. There is apparently no limit to the lengths some people will go to in order to gain popularity on social media. The challenge is so dangerous, that last year, during a similar Internet craze, an 11-year-old boy had to undergo skin grafts after lighting himself on fire. We hope this viral trend ends soon, and we definitely don’t recommend you try it at home.